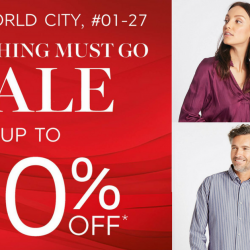 Countdown to the last few days of Marks & Spencer Great World City sale! Head there and grab your clothes and food items at up to 80% off! Everything must go as they will close down at 25 March. You can continue to shop for your fashion and food needs at one of their other store locations! Limited time only! 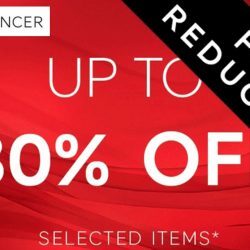 Marks and Spencer: Final Reductions of Up to 80% OFF Selected Items + Pay 20 Cents for One Scone! Before they are all gone. 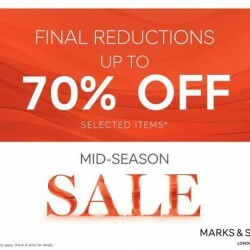 Final reductions of up to 80% off selected items* at Marks and Spencer! Usher in the Lunar New Year with this season's most intimate styles from Marks and Spencer. To help you get lucky (in more ways than one), their bras are going at 28% OFF with every 2 sets purchased. Also treat yourself to their classic plain scone for only 20 CENTS (U.P. $1.90) with any purchase from their Food Hall! Celebrate Singapore’s 51st birthday with Marks & Spencer’s National Day promotions! From now till 14 August, enjoy 50% off your second top purchased. Time to make some room in the wardrobe! Terms & conditions apply. Please check in-store for more details. 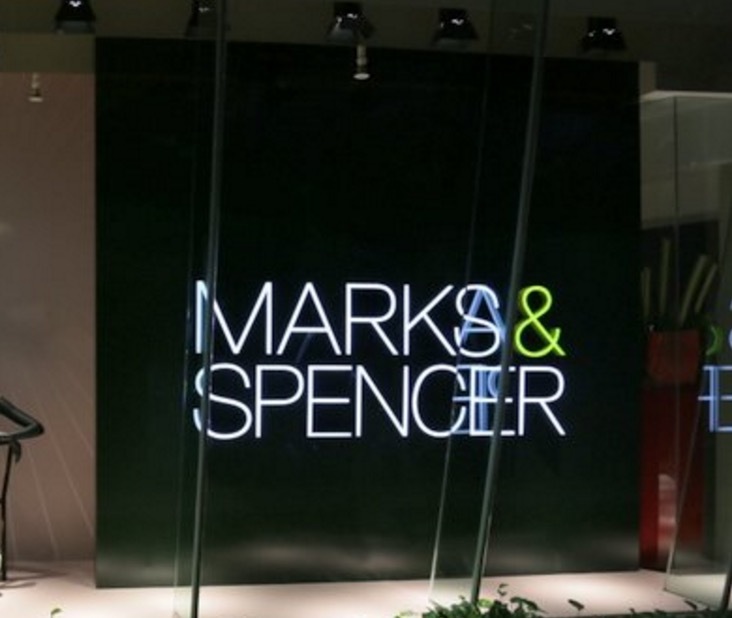 Marks & Spencer is located at #02-109/111 to 117 and #03-100 to 107. Time to pamper yourself with these bath & body treats that will leave your skin feeling cleansed, soft and beautifully scented. 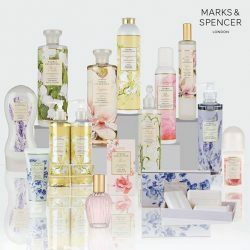 For a limited time only, enjoy 50% OFF the second item purchased from Marks & Spencer's Floral Collection range! Promotion valid till 31 July 2016. Terms & conditions apply. Please check in-store for more details. 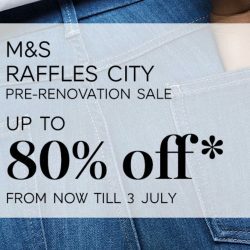 Marks & Spencer Raffles City outlet will be undergoing renovation and they are having a Pre-Renovation Sale! Head there and enjoy discounts of up to 80% off*. Sale ends this Sunday (3 July). Everything must go! *Exclusions, terms & conditions apply. Check in-store for more details. 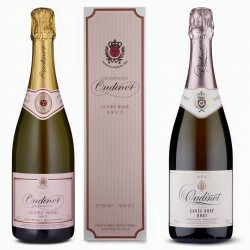 The Oudinot wines are part of their Wine of the Month promotion this Feb. With 50% off every second bottle purchased, be sure to bring home a few bottles today! Super soft, well-made and great value, their bestselling bobble button cardigan might just be the year-round style solution you’re looking for. For a limited time only, they are now going at $49.90 (U.P. $69.90)! Make sure you start the new year on an auspicious note! Enjoy 28% or 38% off selected apparels at Marks & Spencer now! Going at 38% off -- this mini skirt from M&S Collection is a playful way to style your CNY outfit. Shop at M&S for your CNY clothes and be rewarded with shopping vouchers! Spend $138^ and receive a $20 gift voucher; OR spend $268^ to receive a $50 gift voucher. OCBC Robinsons Group Visa Cardmembers will enjoy additional $8* off when you make a minimum spend of $138. 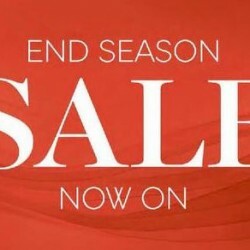 Shop at Marks and Spencer's End Season Sale now! 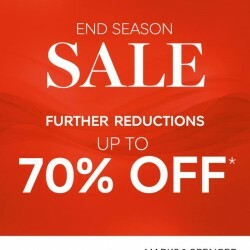 Enjoy further reductions of up to 70% off! Selected apparel and lingerie only. Check in-store for details. Don't miss it! Further Reductions up to 70% off on End Season Sale! Hurry! and enjoy now this special promotion deals. Shop now while stocks last! Christmas may be over, but the discounts at Marks & Spencer goes on! There's MORE items on sale (up to 50% off!)! Enjoy additional 15% off when you purchase 3 sale items and 20% off with purchase of 4 sale items. *Exclusions, terms & conditions apply. Check in-stores for details. 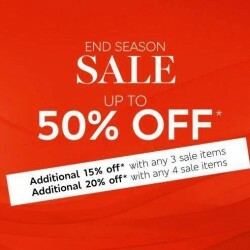 Head to Marks & Spencer to do some year end shopping with their end season sale! Get up to 50% off selected items, exclusions and terms & conditions apply. Marks & Spencer is counting down to Christmas! 2 more weeks to hunt for gifts and here at M&S, they have selected items at up to 50% off and a $20 Gift Voucher for you when you spend $100 on apparel, lingerie, beauty & home! Have a merry weekend shopping! Marks & Spencer is counting down to Christmas! 3 more weeks to hunt for gifts and here at M&S, they have some amazing offers to help you save while you shop! Have a merry weekend shopping! Don't miss this GOLDEN opportunity to indulge in some really serious retail therapy this BLACK Friday weekend at Marks & Spencer! Enjoy 50% off* your second purchase from 27 to 29 Nov! *Exclusions, terms & conditions apply. Discount applies to lower-priced item purchased within the same department. Check in-store for details. 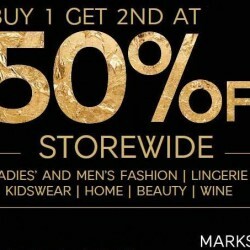 Marks and Spencer: Special Promotion For Robinsons & OCBC Cardmembers–@$50 Gift Voucher. Come and their special promotion for Robinsons and OCBC Cardmembers. and receive $50 gift voucher with $250 nett spend OR $20 gift voucher with $120 nett spend. All other shoppers, fret not. You receive a $20 gift voucher when you spend a minimum of $150. More reasons to do some serious Christmas shopping this coming weekend. Enjoy 70% on selected items! 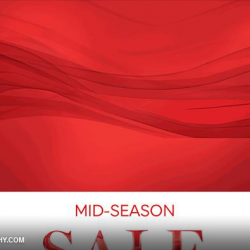 A final reduction Mid-season sale! More excuses to shop this weekend. Shop now and enjoy while stocks last. They are celebrating its launch anniversary with 20% off Underwear from this gorgeous collection, for a limited time only. Splendid! Exclusions, terms and conditions apply. Marks and Spencer has started their Mid Season SALE. Enjoy up to 50% off selected items. Visit Marks and Spencer outlets. @ VivoCity, Great World City, Raffles City, Marina Square, Paragon, Parkway Parade, Centrepoint, Wheelock Place and Plaza Singapura. It's Children's Day today! 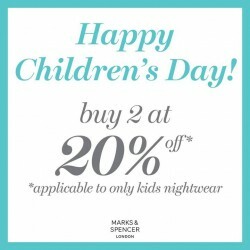 So take now your little one for a shopping spree. Enjoy to take the buy 2 at you 20% off. This is applicable to only kids nightwear. Enjoy Marks and Spencer and Embrace the floral & fauna styles this season and save up to 50% OFF your second top purchase.-- like this lovely floral top from M&S Limited collection. Today's also the last day to So. Singapore, you've voted for the ultimate M&S Food Hall Offer and here are the results! 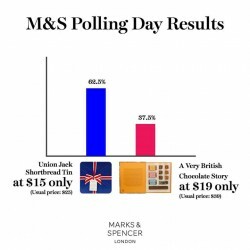 Come on over to a Marks and Spencer near you to get the Union Jack Shortbread Tin at only $15 (usual price: $25). Grab them now before they're all gone! While stocks last. 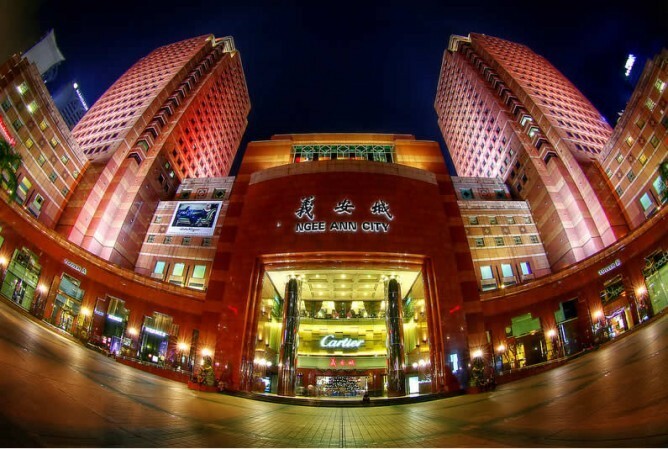 Singapore is a shopping paradise with so many department stores around every part of Singapore. BargainQueen lists the top department stores in Singapore and let you know where to keep updated on their sales! Last Weekend! 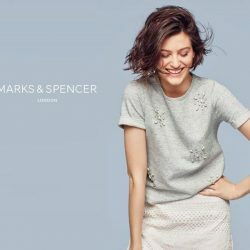 Marks and Spencer: 30% off All Dresses & more! 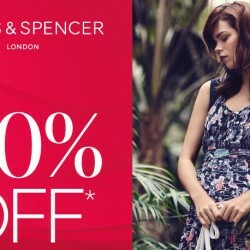 Get work and casual dresses from Marks & Spencer with their final weekend offer of 30% off! More styles are added and discounts are applicable to selected womenswear, menswear and lingerie. Robinsons cardmembers get up to 10% rebates on your purchases. With a whopping 9 stores around Singapore, Marks & Spencer is an under-rated department store that actually has its own brand of high quality clothes, lingerie and food items. There's no exciting fashion here, however, you can find high quality and well-made clothing here especially for office wear. The lingerie has decent size range and are of good quality as well. It's a great place to find presents especially during festive periods, the biscuits, sweets and chocolates are really popular.Do Check out their regular promotions at BQ.sg!